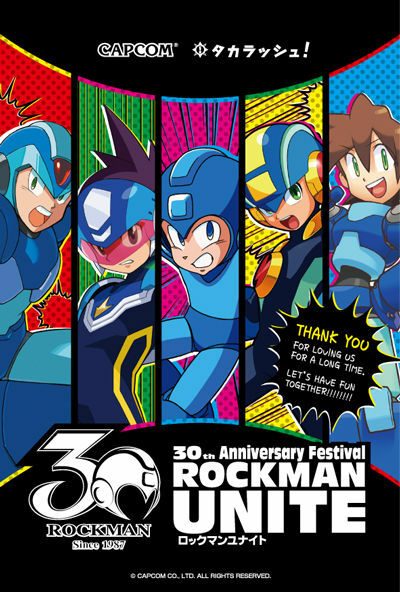 Capcom will host a Rockman 30th anniversary commemorative event on February 10th, 2018 in Hanayashiki Park (Asakusa, Tokyo) and Hirakata Park (Hirakata, Osaka) respectively, the company announced. 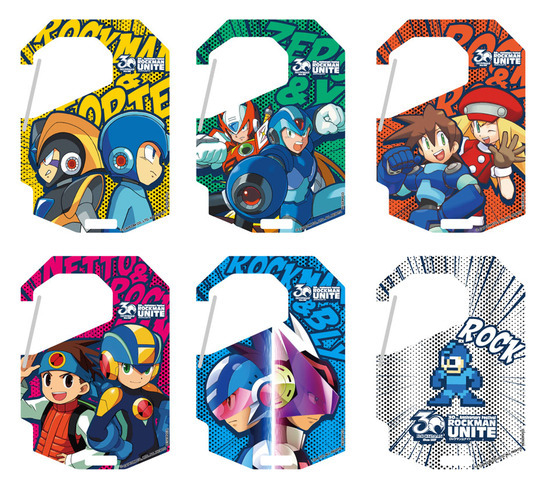 Dubbed "Rockman Unite", the event will play host to a number of events such as a treasure hunt to find a mysterious "dream chip". 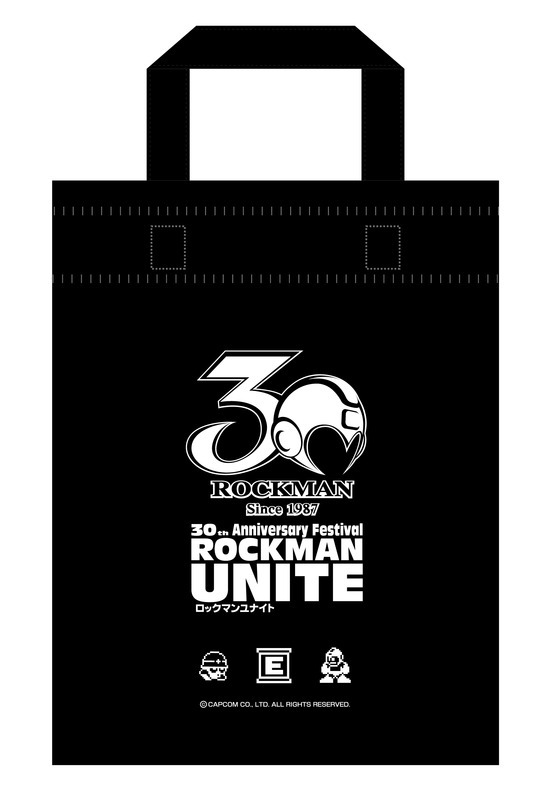 Attendees will also have the opportunity to much of Rockman-themed food and snag a few exclusive goods, too: clear file folders, postcards, key holders, acrylic key chains, hoodies, and a spiffy tote bag. Oh yes; Rockman.EXE and Blues.EXE will make a special appearance, too. 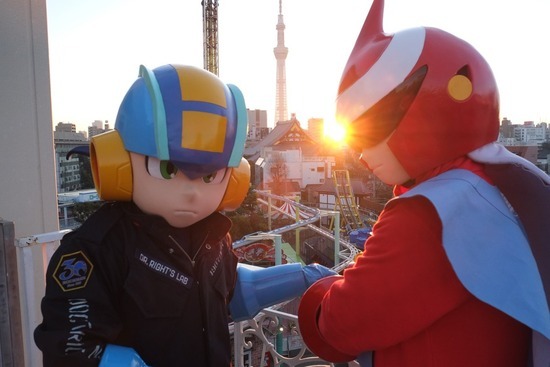 The event runs until March 21st in Hanayashiki and February 25th in Hirakata Park. 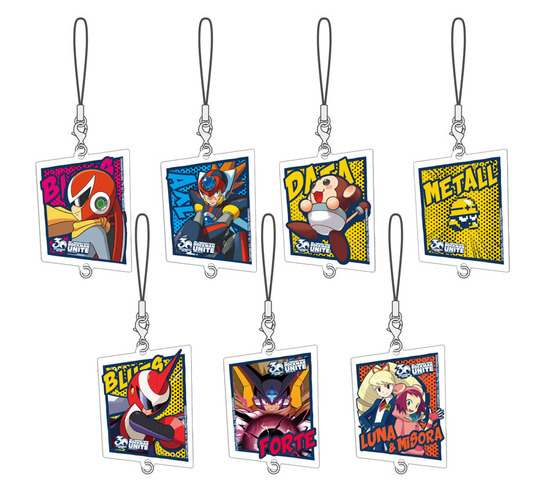 Entree fee is a cool 500 yen – practically nothing! 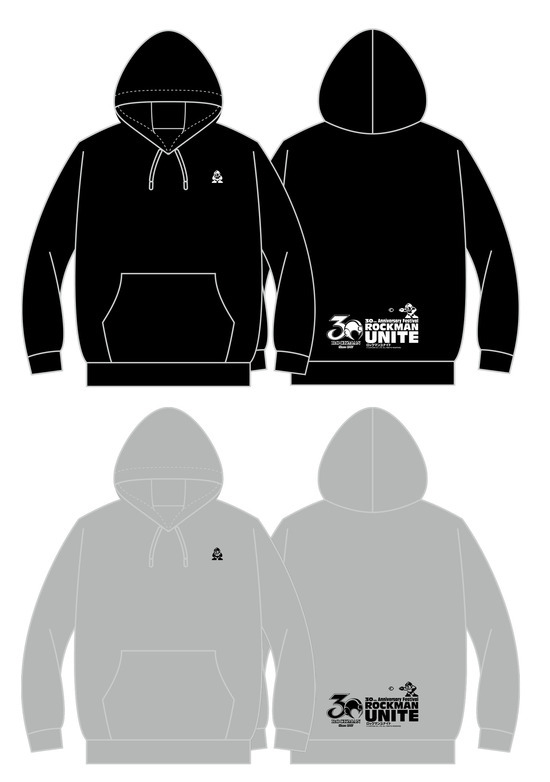 More details (in Japanese) can be found at the event's official page here. I am really happy that this is happening. 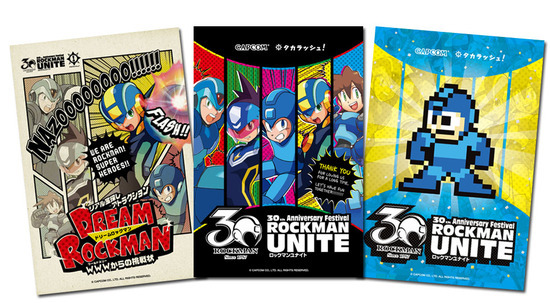 A good year for us and Rockman. Volnutt: Hi there, how's everybody doing?! 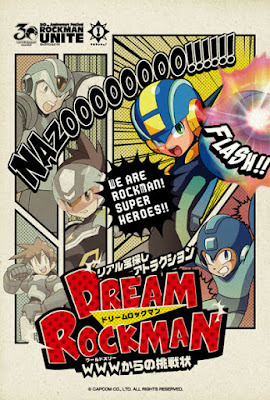 I wonder if us fans can conjur up something here in the US, though i think to plan it it's already too late. Oh man, I'm so going to the one in Asakusa.